Lynn from Resusplus Training attended our Independent School Nurse’s Forum. She delivered a teaching session on Resuscitation. The resuscitation presentation was exceptionally clear and delivery very relaxed and varied meeting the individual learning styles of the whole group. I would not hesitate to recommend you. I wish to show my thanks for the resuscitation training taught by Sarah from ResusPlus Training. She was extremely supportive, enthusiastic and knowledgeable. From the theoretical to the practical exercises, Lynn’s knowledge and experience is unquestionable, this coupled with her motivational manner makes the training a pleasure. 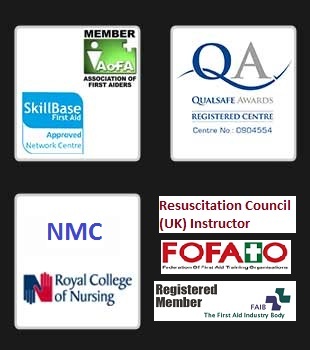 We do and would recommend the services provided by Lynn to any organisation or individual who require any first aid related training; the courses are of the highest standard.